Whenever we talk of Diwali festival the first think that comes to our mind is when Diwali is celebrated or the date of the festival. Normally according to the Hindu calendar the festival of Diwali, which is celebration of truth and light is celebrated on a nation-wide scale on Amavasya, the 15th day of the dark fortnight of the Hindu month of Ashwin (Aasho), which is usually the month of October or November every year. Diwali is regarded as one of the most important festival of the Hindu calendar. It is celebrated across the nation with great pomp and excitement. The festival is mainly associated with lights as it is called the festival of light. 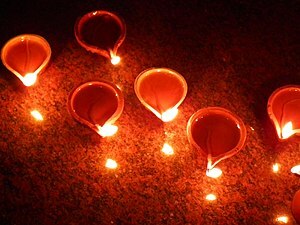 On the day of the festival diyas (small clay lamps) are lit in everybody’s home irrespective of their social status. The name Diwali signifies ‘rows of lighted lamps’. Diwali is a five-day festival, beginning on the 15th day of the Hindu calendar month of Kartika (Ashwin). By the Gregorian calendar, Diwali falls in October or November. Diwali marks the beginning of the Hindu and Gujarati New Year and is celebrated with the lighting of lamps and candles, and lots of fireworks. People decorate their home with beautiful diyas and making rangoli pattern in the courtyard and in front of the gate. They put flowers and mango leaves on their doors and windows. Diyas and candles are placed on rooftops, rooms, and kitchen and even in the bathrooms. On this day, people worship Lord Ganesha, the foremost of all Hindu Gods and Goddess Lakshmi, the Goddess of Wealth and Prosperity. It is time to exchange gifts and sweets with friends, relatives and neighbors. Due to India‘s varied cultural diversity there are many manifestations of the Diwali festival. The festival begins with Dhanteras, a day set aside to worship the goddess of prosperity, Goddess Lakshmi. On this day, homes are cleaned and paintings are done. There are various legends associated with the celebration of Diwali. But people mostly associate the celebration with the legend of Lord Ram returning to his kingdom of Ayodhya after fourteen years of exile and defeating Ravana, the demon king. In Bengal, the celebration is marked with the worship of Goddess Kali. People celebrate Kali puja with great fervor and enthusiasm. 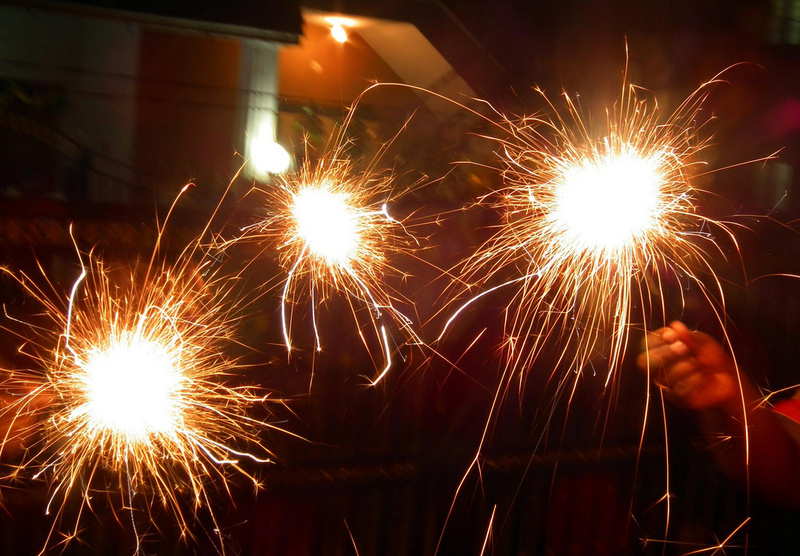 Joy and festivity reins every corner of the nation during the Diwali season. Diwali festival is the one Hindu festival that unites the whole of India. The exchange of sweets and the explosion of fireworks customarily accompany the celebration of the festival. Diwali is an occasion for cheerfulness and togetherness. This is that time of the year when people of all age and all class take part in its celebration. India is considered to be the land of festivals. And each of the festivals, which are celebrated here, has a reason or significance behind its celebration. Diwali the festival of light is also not an exception. It is celebrated across the country with lots of fervor and fun. Though the way it is celebrated differs from region to region according to the traditions and culture of that state but the reason behind its celebration remains same. The festival is celebrated by all there is no cast or age bar. The festival brings light in everybody’s life. The festival symbolizes unity in diversity as every state celebrates it in its own special way. If we try to look for the origin of the festival we have to refer to history. And history tells us that the festival is celebrated mainly for four days commences on Aswayuja Bahula Chaturdasi and concludes on Kartika Shudda Vijiya. And each day has a significance and history behind its celebration. The first day of the festival Naraka Chaturdasi marks the killing of the demon king Naraka by Lord Krishna and his wife Satyabhama. The second day is Amavasya and according to the legends Lakshmi, Goddess of wealth, was incarnated on the new moon day (amaavasyaa) of the Kartik month during the churning of the ocean (samudra-manthan), hence the association of Diwali with Lakshmi. 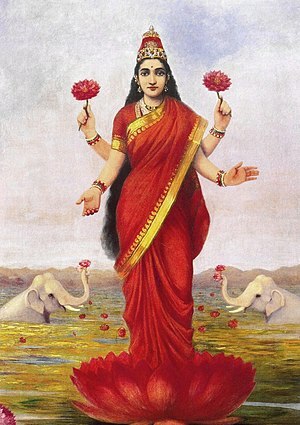 From that day she is worshipped as the symbol of wealth and prosperity. It is also said that on this very day Lord Vishnu rescued Goddess Lakshmi from the prison of Demon king bali and for that reason Goddess Lakshmi is worshipped on the day of Diwali. The third day is “Kartika Shudda Padyami.” On this day Bali would come out of Pathala Loka and rule Bhuloka as per the boon given by Lord Vishnu. Hence, it is also known as “Bali Padyami“. The fourth day is referred to as “Yama Dvitiya.” On this day, sisters invite their brothers to their homes. 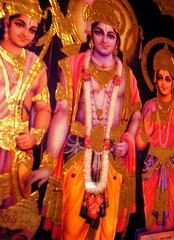 Whereas according to legends it is also said that Lord Rama returned from exile to Ayodhya after fourteen years of exile. To commemorate his return to Ayodhya, his subjects illuminated the kingdom and burst crackers. Goddess Kali is also worshipped during this time. 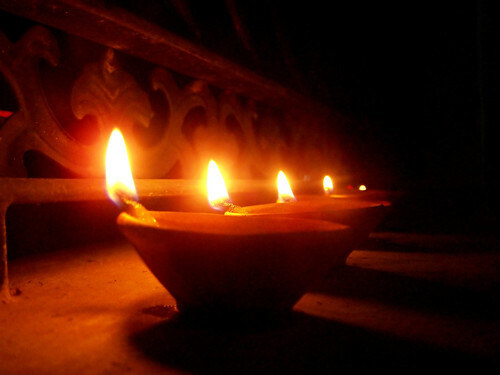 The literal meaning of Deepavali in Sanskrit is ‘a row of lamps.’ That’s why Diwali is called the festival of lights. As we all celebrate it by lighting of diyas in our home. It is a tradition that is popular in most regions of the country. Even today in this modern world it projects the rich and glorious past of our country and teaches us to uphold the true values of life. Every festival of India has such glorious and rich traditions that are portrayed through its celebration. Diwali is associated with many customs and traditions. Like the tradition of rangoli, tradition of burning crackers, tradition of lights, tradition of Diwali pujas and Diwali gifts Tradition. One of the most curious customs, which characterizes this festival of Diwali, is the indulgence of gambling, especially on a large scale in north India. Rangoli is a traditional Hindu folk art; it is a kind of designs generally created on a floor on special festive occasions. The origin of this art can be traced to the Puranas (works on Hindu mythology). 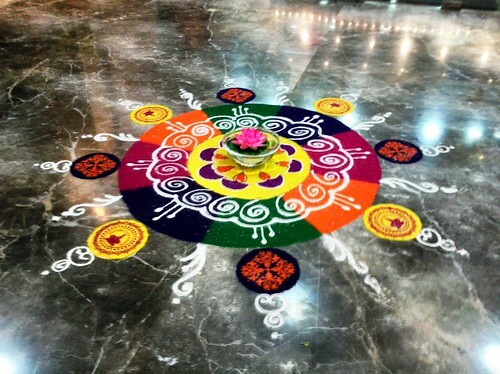 It is said that the tradition of rangoli originated in Maharastra and slowly disseminated to other parts of India. It gives a colorful look to the festival celebration. The festival of Diwali remind us of the brilliant display of colorful fireworks which explode in the dark nights. The cities are famous for these. It is an unique part of Diwali celebration. Now it has become an inseparable part of Diwali festival. Exchange of gifts is another unique feature of Diwali celebration. Diwali encourage people to gather and socialize with friends and family, exchange gifts and share home-cooked meals. The diwali gifts exchanged on this occasion reflect happiness, love and joy. Lighting of diyas is also an important part of Diwali celebration. Lighting diyas brings divine brightness and joy with the hope of finding light in darkness, achieving knowledge where there is ignorance and spreading love where there is hatred. It symbolizes the victory of good over evil and light over darkness. Diwali is also associated with pujas of different Gods. There are many legends and religious accounts to it. Lights and diyas are lit to signifying the driving away of darkness and ignorance, as well as the awakening of the light within us. That’s why the festival of Diwali is a true portrayal of the rich cultural and traditional values and customs of India. I wish my dear blog readers and fellow bloggers, a very peaceful and scintillating Diwali. May your life gets brighten up with the light off happiness, bliss, wealth, prosperity and devotion. Halloween, a well known Festival to celebrate by all of us. It has become a tradition as well as trend, especially among the youngsters for a lot of time. Even adults alike enjoy this holiday today, with funny costumes, candy, and parties, while some countries observe this time as a remembrance of departed loved ones and religious saints. But there lies a History behind wearing Fancy Costumes and guising around the neighborhood for Trick-or-Treat. It was first originated in European Countries like – United Kingdom, Ireland, northern France by The Celts, around 2,000 years ago. They called ‘Samhain’ (pronounced as ‘snow-en’), which was celebrated at the end of the Celtic year i.e. on the night before (or simple say, the eve of) 1st November, signaled the end of summer, the harvest season, and even the death of Ancient Pagan Celtics. Samhain was considered a magical holiday, and a lot of stories were mentioned about the Celtics practice and beliefs during this festival. Some said the spirits of those that had died in that year, were unleashed and offerings of food and drink were left to aid the spirits in order to ward them away. While others and mostly said, they used to dress up in scary costumes and roam the neighborhoods making noise to scare the spirits away. A sacred, central bonfire was always lit to honor the Pagan gods. It was said that Fortunes were told by the sacred bonfire, and marked stones thrown into it. There was another custom to extinguish the home fires. Some say the reason home fires were extinguished is to scare away evil spirits from homes, while others say that home fires were supposed to be lit from embers from the sacred bonfire to start the New Year. 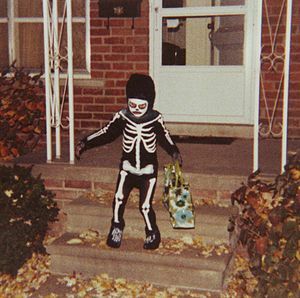 As far as “Trick-or-Treat” tradition came into this festival, it was originated by some of the Celts who wore costumes of animal skulls and skins and roamed around during Samhain, dressed as beggars asking for food door to door. Those that gave food to the faeries were rewarded by them, were punished otherwise. Later in the First century A.D., the Roman Empire invaded most of the Celtic lands. The Romans had two festivals also celebrated for Pomona, the Roman goddess of trees and fruit, at the same time of year as Samhain. These were combined with Samhain in the Celtic lands during 400 years of Roman Reign over the Celts. Now that’s why, The apple (Symbol of Goddess Pomona) probably became the root of the Halloween tradition of bobbing for apples and other manipulations of the fruit which were thought to predict the fortuned future, on this night of Samhain. As The Christianity had spread over the Celtic and the Roman regions over the next several hundred years, The Christian church disliked this festival and demanded a replacement. About in 835 A.D., Pope Gregory IV moved the date of All Saints Day (honouring dead church saints and martyrs) to November 1, which probably took the attention away from the Pagan Samhain festival. However, many Pagan traditions of Samhain were still continued to be practiced. 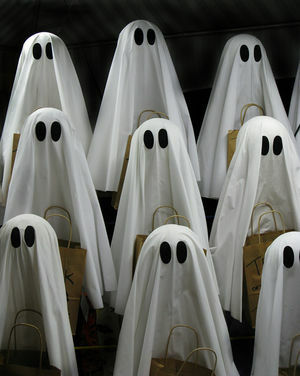 All Saints Day was also known as All Hallowmas in Old English. As Samhain was celebrated the eve night before November 1, this celebration was therefore, known as All Hallows Eve or Halloween. In the year 1000 A.D., the church designated November 2 as All Souls Day, to honour the death of non-saints. Even “Jack o’lanterns” has a storyline from the past. In Irish myth, a drunker known as “Stingy Jack”, tricked the devil most of times in his life. But after his death, he was not allowed in heaven or in hell. However, The devil taking pity of Jack and gave him an ember to light his way on his eternal walks on Earth, carried in a hollowed out turnip. The Celtics used a hollowed out rutabaga to carry an ember from the sacred Samhain bonfire home to light their home fires. This festival was not so popular in early United States history though, as it was considered mostly a Catholic, Episcopalian, and Pagan holiday, and therefore largely ignored. 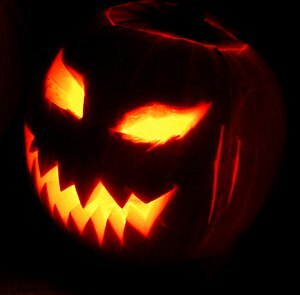 However, in the southern colonies, such as Virginia and Maryland, there were some traces of Halloween customs observed. They called it “play parties” where people neighborhoods celebrated together by dancing, singing, telling fortunes and even stories of the dead. By the mid 1800’s, most of the Irish immigrants, mostly Catholics brought many Halloween traditions with them. The pumpkin, which was very plentiful in the New World, became the face of Jack o’lanterns These holidays (Halloween and All Saints Day) were later being published on public calendars, magazines and newspapers, to publicize these festivals, which soon became popular in the United States more as a community and family holiday, rather than one of great religious and supernatural importance. As days passed by and the popularity increased in the twentieth century, they became highly community centered with parties city-wide, parades, and great costumes. This holiday is mostly aimed to children, but still enjoyable young and old enjoy, with events and parties for everybody. 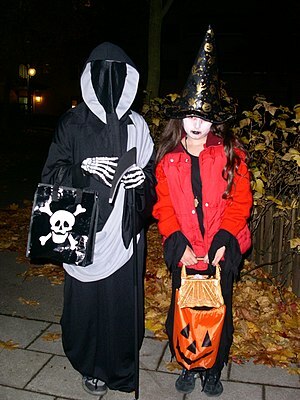 A lot of teenagers and young adults get together wearing costumes of Ghosts, Gods, Action Heroes or even any Famous Celebrity and have a special Halloween Party whole night. In a nutshell, we all celebrate this spooky but special festival to amuse and scare children (and some adults) to get everybody in the “spirit” of Halloween.